Board of Port Commissioners pulled an agenda item for additional license plate reader cameras for nearly $531,477. LOS ANGELES—License plate reader (LPR) cameras, a controversial subject matter in California some have likened to an Orwellian-like infringement of privacy, were listed as a consent item at recent Port of Los Angeles Board of Harbor Commissioners meeting in San Pedro. The item, however, was pulled from the Jan. 10 calendar for further consideration in the future. The staff report considering the award of a contract to Vigilant Solutions, LLC, it states the contract amount would be $531,476.52 if approved. The funds will include applicable taxes, shipping, installation, provisioning, extended warranty and technical documentation. The city’s Harbor Department would be responsible for the cost. Los Angeles Port Police currently use a mobile ALPR system from the same company, which consists of mobile intelligent capture devices in two patrol vehicles and a mobile trailer. This system collects plate information and alerts authorities when a vehicle is stolen, wanted or if there are any criminal warrants associated with the license plate in a known database. Port officials felt additional security could enhance efficiency. The staff report continued that 162 stolen vehicles had been recovered in the fiscal year 2018. Since the fiscal year 2019 began four months ago, 85 stolen vehicles have been recovered in the Los Angeles Harbor District. In recent years, San Diego County has implemented the use of LCRs. It was reported in December 2017 by ABC News San Diego that Carlsbad Police found they had success with the system, but locals had expressed concern over the system. Carlsbad Police stated the new cameras had been installed in an effort to reduce such property crimes like auto theft, which reportedly crawled to a 19 percent increase between 2014 and 2015. Thousands of police departments across the country have employed the use of LPRs to date. Are digital license plates the next step? In an even more unusual and somewhat related topic, Michigan became the first state to approve digital license plates called Rplates, which has been tested in California and Arizona. According to an article by Detroit Free Press, 1,400 Californians have been using the digital plates under a pilot program that launched in 2018. Though no complaints about technical glitches have shown up, Rplates are not exactly the affordable $22 that standard plates cost. Rplates start at $499 and plates with GPS technology are $799. Benefits of the digital plates seem to be they are more customizable and have automated vehicle renewals. Such technology will also monitor if a vehicle is stolen and can be used to pay toll roads and other fees. While methods such as these may be more convenient for drivers and could potentially be safer, there is also the question of how much privacy vehicle operators will be able to retain. In Carlsbad, for example, police stated that they keep the details of a driver’s license plate on file for a year regardless of whether the plate indicates a driver has committed a crime or not. Also, would technology like digital plates and LPRs make it easier to issue citations? Will recreational boating marinas be positively or negatively affected? The next two years could reveal the answers. 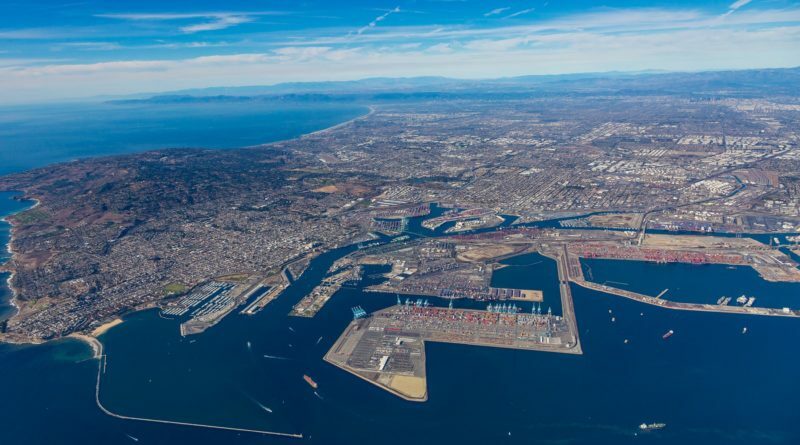 For more information about LPRs at Port of Los Angeles, visit the website at portoflosangeles.org. California requires agencies deploying LPRs to post usage policy online. *Law applies to private entities.